The spacious Independence plan, designed by Neal Communities, is beautifully laid-out. The open gourmet kitchen with island includes plenty of counter space, a large island and a cafe-styled dining space. The great room offers views to the covered lanai. A den or office is just off the main living area. The master suite is conveniently located on the ground floor of the two-bedroom and includes a walk-in closet and bath with two sink vanities, shower and water closet. Also on the first floor, a guest suite features a private bath and a powder room sits just off the foyer. The third bedroom is upstairs along with a loft and full bath. Options for the home include a fourth bedroom and extended bonus room on the second floor, an outdoor kitchen wall on the lanai and a tub in the laundry room. 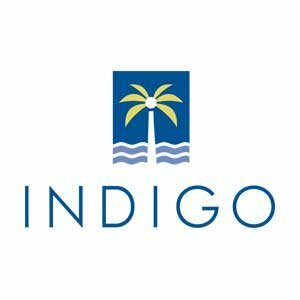 Come see why Indigo is so popular! Call to find out more and to schedule an appointment.